The management did not want to just do business with a run of the mill bar setup, and hence they ensured that the popular cocktails went for a makeover. 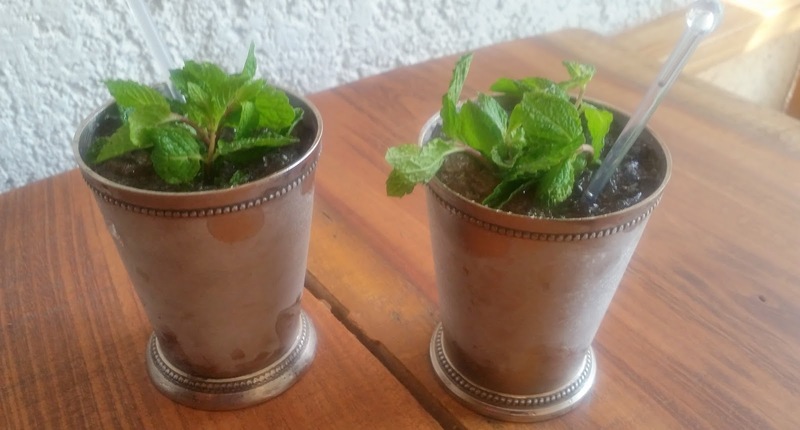 Take their Moscow Mule cocktail for example. This was traditionally served in a copper mug and the restaurant has brought back that practice. For the Indian love for sugarcane, they have a cocktail called Mr Kane in a large glass with abundant alcohol. 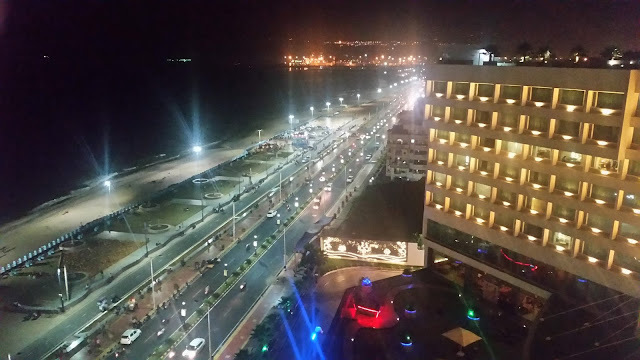 For our childhood fancy of goli soda, they have a choice of cocktails served in a goli soda bottle. Sipper Tripper is a drink served in a plastic pouch. As per the restaurant, the name implies that even if the person trips and falls after a few drinks, the drink in the pouch will remain secure. 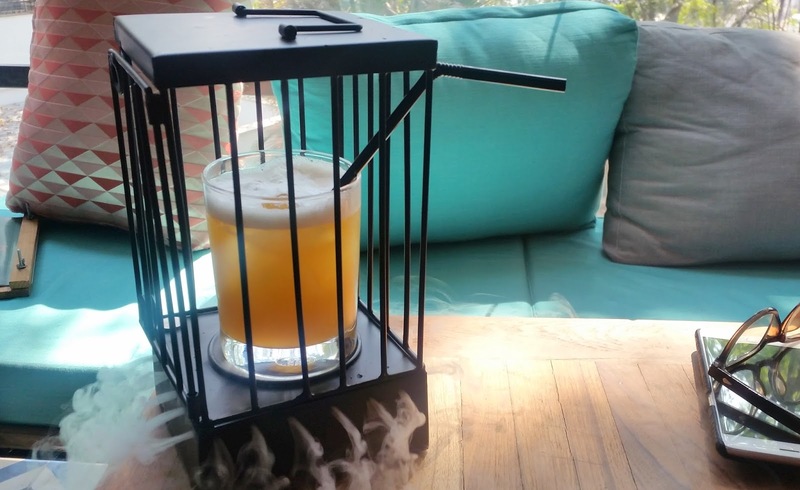 Jaali Whisky is served in a small cage attracts attention too for the way it is served. The décor of the restaurant is worth a mention. I was very impressed with the large outdoor space where tables are laid out under greenery. Going slightly down you find a place ideal for nursing your drinks. The interiors are also tastefully done with some nice wall art and paintings. 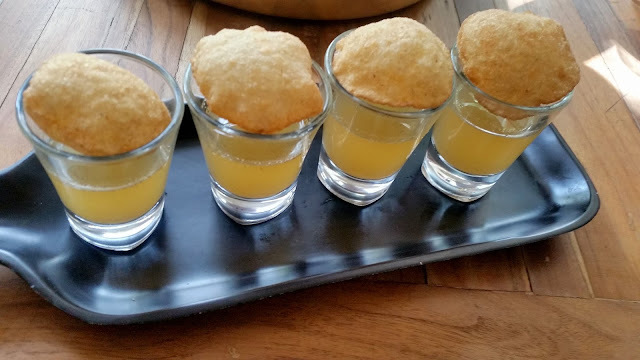 At a preview, we first experimented with the tastes of different cocktails – Pulpy Narang Gin (served in a goli soda bottle), Sipper Tripper (Malibu Rum with pineapple juice and red syrup), and Jaali Whiskey (Bourbon with pineapple juice and angostura bitters). Each drink was unique, but the whisky cocktail was absolutely brilliant in taste as well as presentation. The dishes which accompany the drinks are carefully designed too. The Lebanese Key-Bab Platter had some delicious Mediterranean meat dishes (Harissa Chicken, Shish Touk and Chicken Kebab) served with soft pita pieces, hummus and Tzatziki. Stuffed Tangri was another highlight with fillings of cheese and mince. 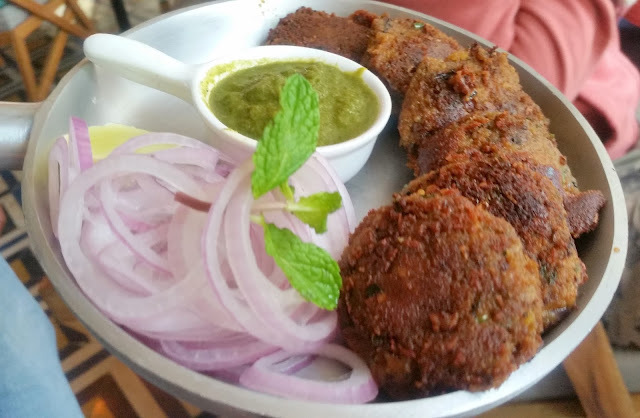 Shammi Kababs (there were two version, veg and of course mutton) were soft and melt-in-the-mouth, but I really enjoyed the taste of the next dish Ghee Roast Mutton Boti. 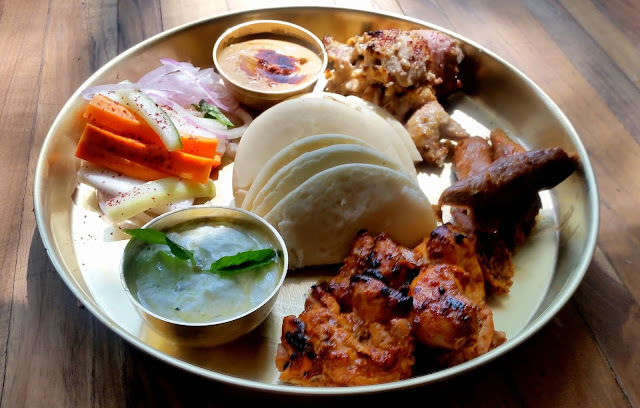 The restaurant seems to have perfected the act of optimal cooking of meat, and the Mangalorean spices added to the taste. 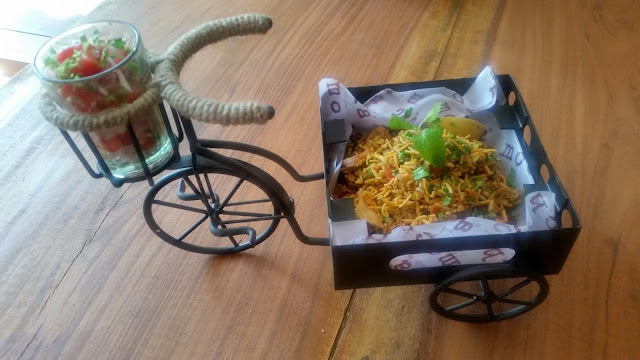 Presentation of most of the dishes was remarkable too – examples were a Bhel Puri (served on a tricycle with the chopped onions and tomatoes in the cycle carrier) and Gali Ki Nalli Nihari (show cooked lamb shanks gravy served again in the same fashion). 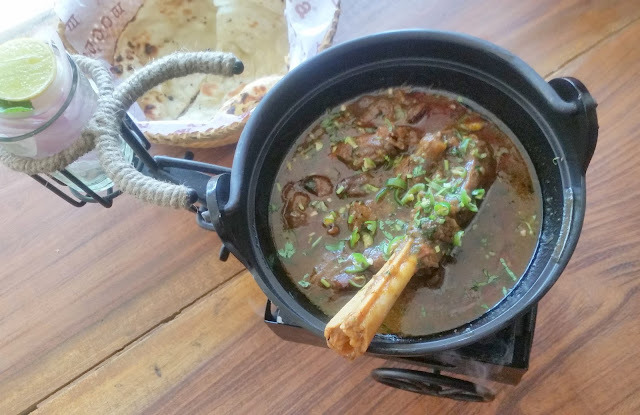 The nihari was more like the Delhi version of the dish, rather than the spicy Hyderabadi one. Oriental cuisine was showcased with the Burmese Khaw Suey and Indonesian Nasi Goreng. 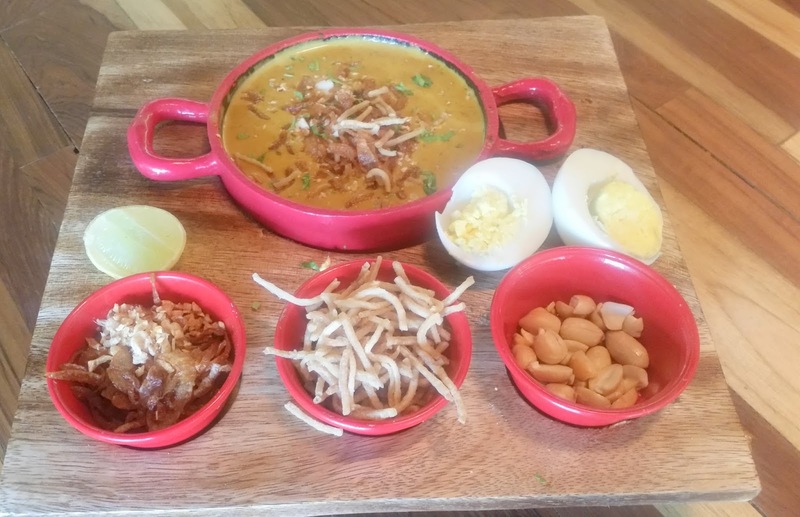 The optimally dense and coconut milk laden Khaw Suey had the condiments served separately as required, the presentation adding a nice touch to it. The Nasi Goreng was served in a box along with chopsticks, and both the chicken satay and the rice had decent oriental flavours. The food menu here is humongous (the starters itself number about two dozen), but from the dishes, we tried out, the restaurant has done an exceptional job of handling multi-cuisine recipes. A few items which we did not try out, but evinced my interest included Buhari Style Chicken 65, Gunpowder Calamari, and Rendang with Canai Roti. Among the desserts served I only tried the Rasmalai Cheese Cake. This is a must try even for a dessert-averse person (like I am). 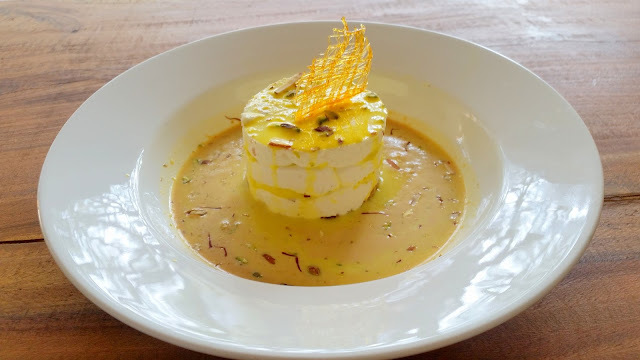 The rasmalai sauce was absolutely authentic in taste and the quality of cheesecake was good too. 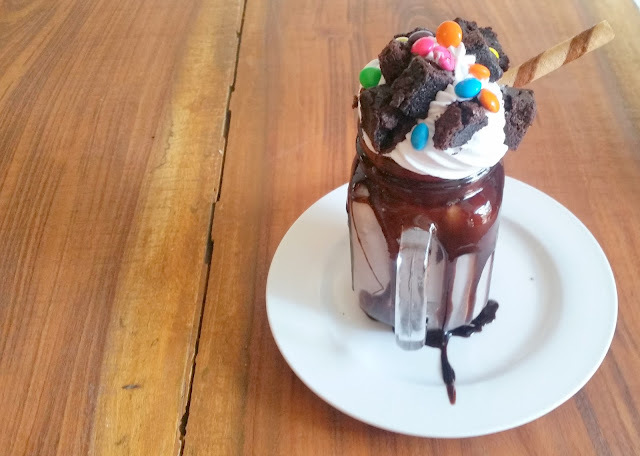 Brownie Fudge Freak Shake and Cheese Cake Brownie was liked by the other diners. 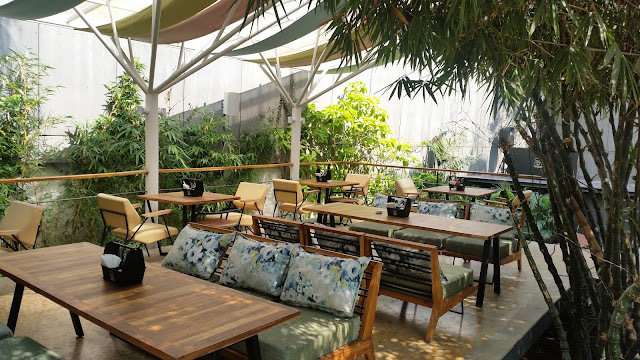 Overall, I loved the place for its open design, diversity of cuisines, and innovativeness in design and presentation of both food and drinks. 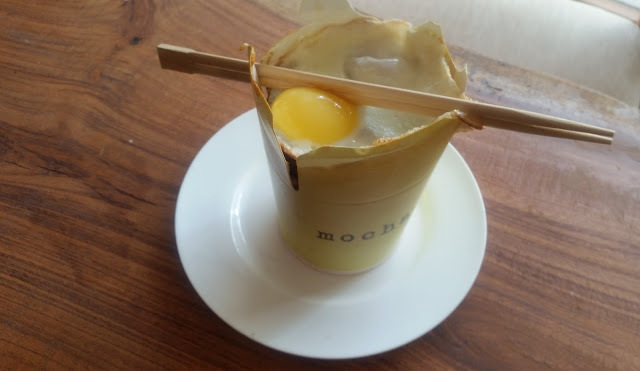 Mocha Café and Bar is not very expensive (most dishes are priced below Rs 400), and definitely worth a look in.